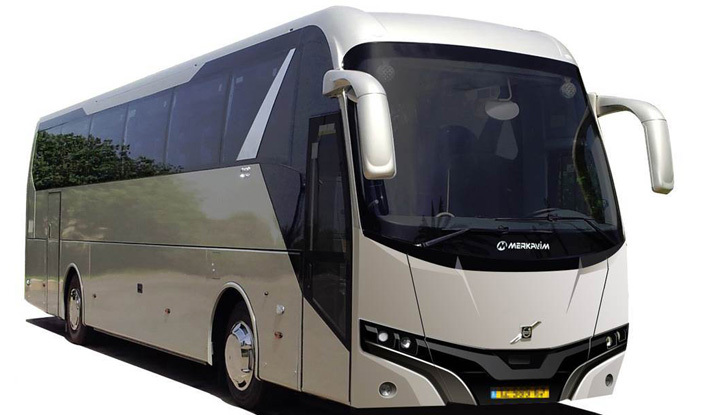 Apollo Premium, Merkavim's most exclusive tour bus, is an advanced, high quality and pampering bus, and has an updated and elegant design. 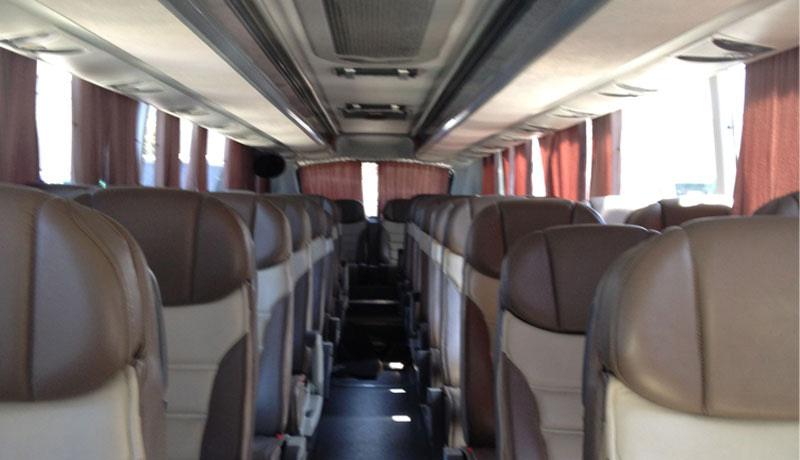 Apollo Premium is a luxurious tour bus, with exceptionally pampering details and furnishings. 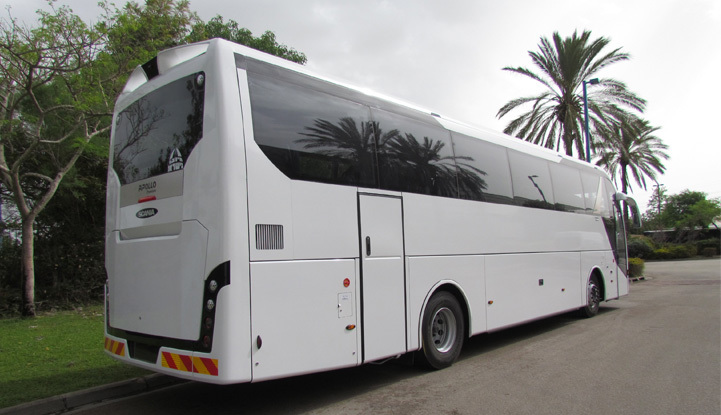 The bus includes 55 seats with a tilt-back option, luxurious upholstery, large panoramic windows, advanced audio system, high quality DVD system with several screens, personal AC control system, wide and convenient overhead compartment, extra large trunk (11.5 cubic meters). The driver can enjoy a highly spacious sitting environment with a wide field of view and highly advanced accessories. External and internal cameras for ultimate control and a multimedia system enable an enjoyable and unique driving experience. 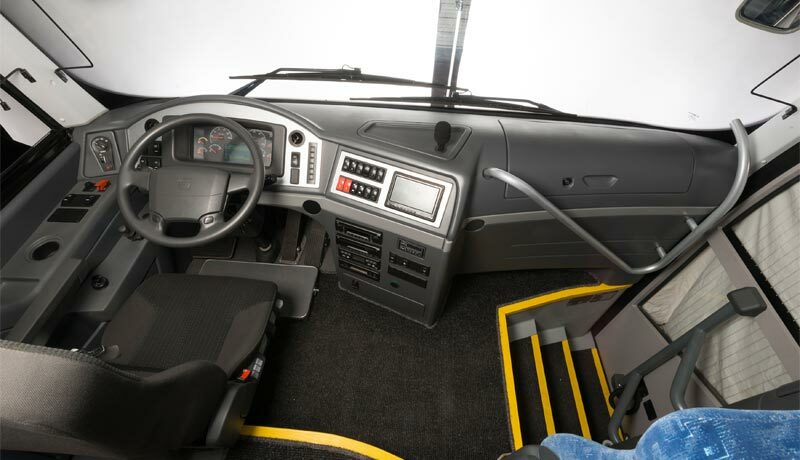 With a corrosion resistant, stainless steel body, the bus benefits from valuable attributes such as strength, reliability, durability, easy maintenance and low operational and maintenance costs. 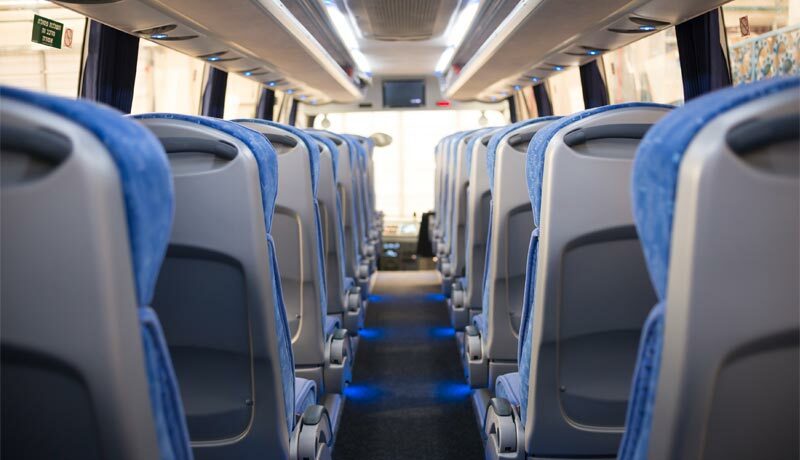 This bus is equipped with an electrical control system (Multiflex). 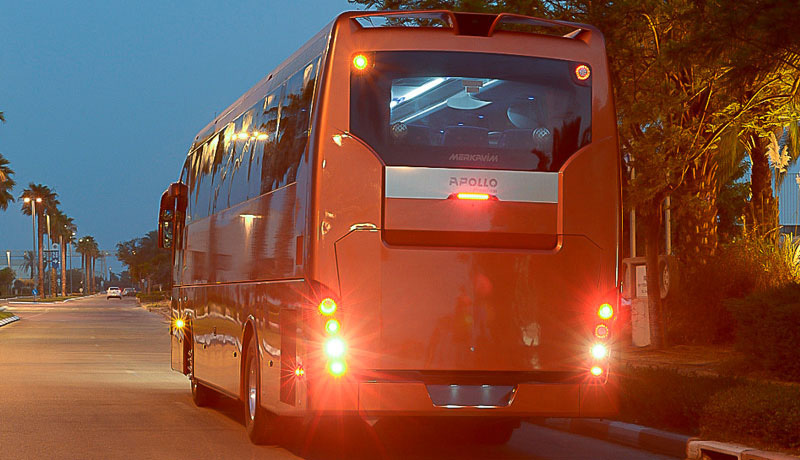 The Apollo Premium is constructed on the most advanced chassis in Israel and worldwide, by: Volvo, Man, Mercedes and Scania.